A seasoned recruiter for a financial firm on Merritt 7 in Norwalk Connecticut, Annie knew a good candidate when she saw one. The perfect asset for the current position was one she had already recruited once before, and that would be her husband! Given their relationship, Annie’s boss had to step in and seal the deal, but Andrew was on board in no time. The next step was to move from their home in Avon to a town closer to Norwalk that was affordable and had good schools. Annie’s boss lived in Fairfield and was a strong advocate. She convinced Annie and Andrew that this town would fit the bill. 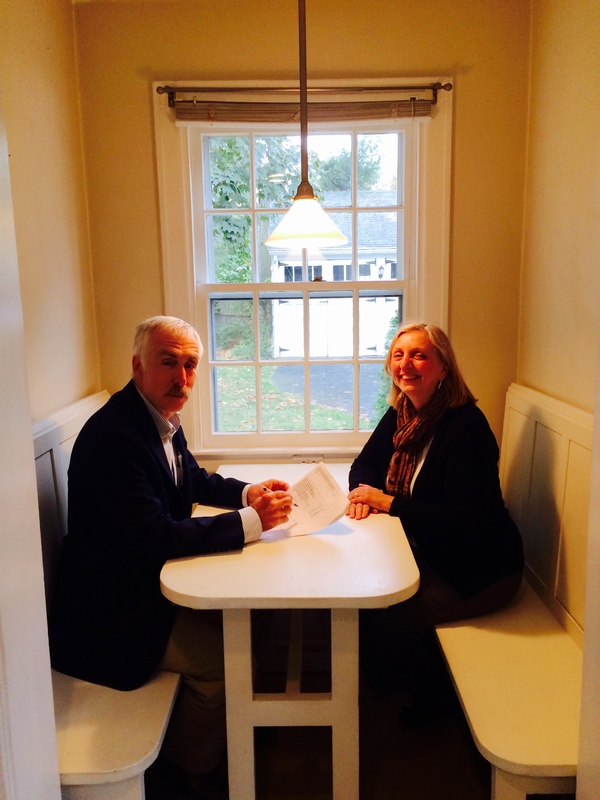 So Annie and Andrew’s agent in Avon called me to help them find a new home in Fairfield. We spoke on the phone, and I set up their online search. Immediately Annie saw something she liked and came to see it the next day. Andrew couldn’t get free until the weekend, and by then the house was gone. Three more times, the timing was too late or multiple bids got in the way, and three more homes were lost. Homes in their price range in the Fairfield university area were in extremely high demand and flying off the shelf! Although Andrew liked the homes he had seen, he was still having a little trouble understanding the value for the prices in Fairfield compared to Avon. 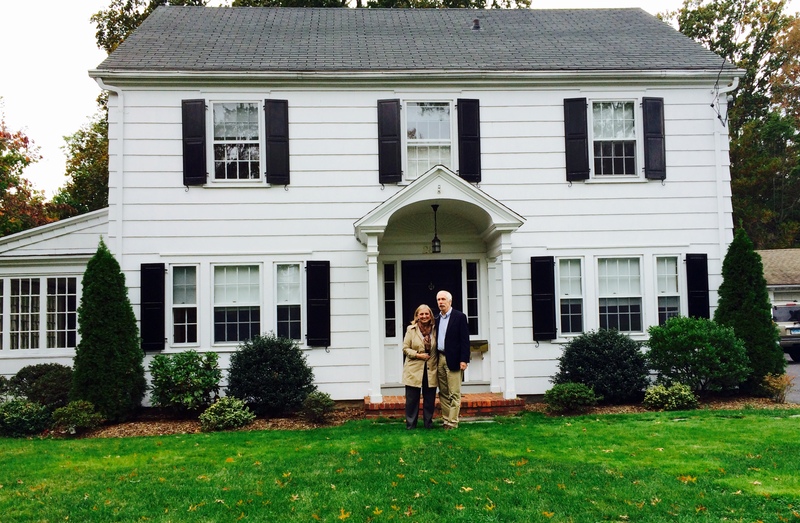 Annie and I gushed about the treasured amenities in Fairfield such as the gorgeous beaches, convenient train stations, chic eateries, vicinity to Manhattan and the fantastic vibrant community. I wish I had this video tour of Fairfield at the time! Still, Andrew just shrugged his shoulders and went with the flow, primarily motivated by a quick commute. Finally, a lovely pricier home had a price reduction. We immediately went to see it and this time lucked out. Annie and Andrew landed a beautiful expanded Cape on a pretty university area street. They lost no time starting to make memories with their little son George, their new neighbors and all the block parties scheduled for the year. So we welcome Annie and Andrew to Fairfield and the university area along with some of our other recent new neighbors, Ping and Danian and Rich and Chris. Annie and Andrew’s story is all about taking that leap toward the next chapter of exciting new beginnings- A new love. A new job. A new town. A new home. Follow your dreams, and the rest is history in the making! For questions about your next move, contact me any time! Categories: Commuter Info, Fairfield Connecticut Real Estate, Fairfield County Housing Market, Fairfield Housing Market, Fairfield Schools, Fairfield University Area, Home, Home buying, Home selling, Local housing data, Online search, Places to Eat, Real Estate, Town Resources | Tags: buyers, buying, closing, Connecticut, fairfield county CT real estate, fairfield ct, Fairfield CT real estate, Fairfield housing market, kitchens, Linda Raymond, new home, open house, real estate, Relocation, sellers, selling, William Raveis Real Estate | Permalink. Chris grew up at her parents’ house on Wormwood Road near Fairfield University, but she later moved to Monroe with her husband Rich. There they enjoyed more space and land as they raised their two children, both grown up now. After a couple of decades, they began to tire of the 20-minute minimum drive to get anywhere and the even longer commuting time to both their jobs. Chris has been a biolology professor at Fairfield U, and Rich was working in information technology at Bayer Healthcare, also quite far away. So they decided it was time to move back to Fairfield. Chris could be close to her mom who was still in her home in the university area, their commutes would be significantly shorter and they could make very good use of all the cool eateries downtown! I met Rich and Chris at an open house in 2012, and have been showing them homes on and off since then. They have always liked the New England colonial with classic charm. They had made offers on a few homes along the way but found themselves outbid each time. Finally, one day I happened to be online in the multiple listing service when a new listing popped on, and I knew it was perfect! 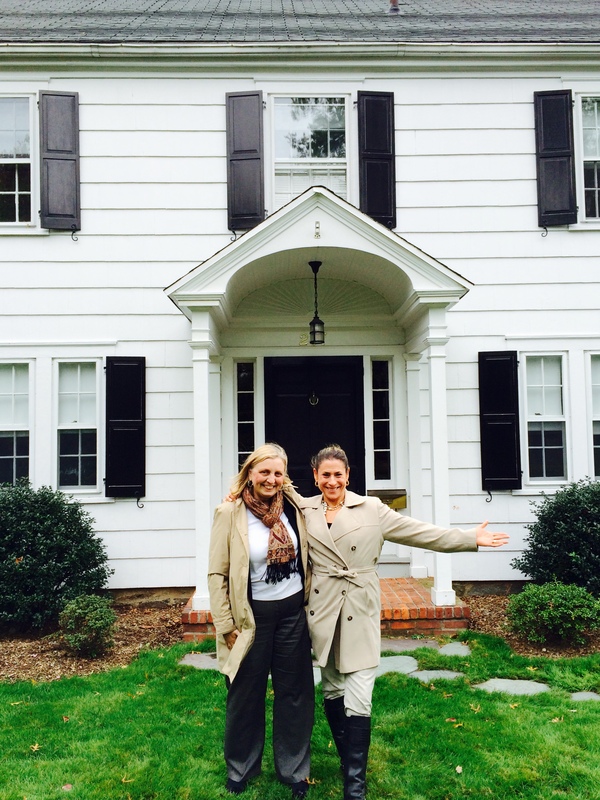 I immediately took them to see the charming colonial on Wakeman Road. They made an offer that was negotiated and accepted, and as of this week they have a new home! They plan to rent out their house in Monroe for awhile before selling it and will be moving into their new university area colonial right away! If I can help you with your next move or any real estate questions, please let me know by filling in the form below! Categories: Fairfield County Housing Market, Fairfield Schools, Fairfield University Area, Home, Home buying, Home selling, Open Houses, Places to Eat, Pricing to sell, Real Estate, Relocation, Town Resources | Tags: buyers, buying, closing, Connecticut, fairfield, fairfield university, home buyers, real estate | Permalink.